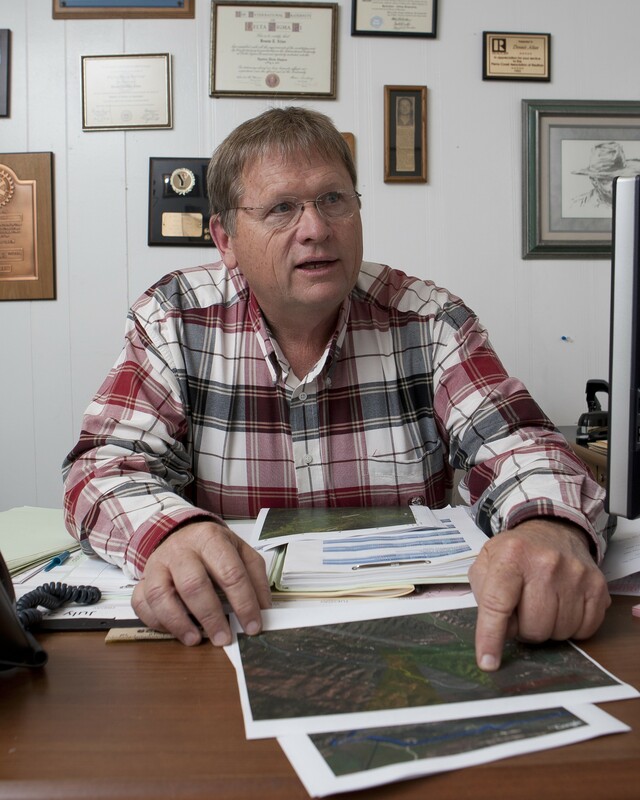 LAND MAN : Kevin Irot has worked in title insurance for 30 years but as he showed New Times, it’s difficult even for experts like him to track mineral rights. On Feb. 7, 2007, Excelaron, LLC, made one of the craziest bets on the Huasna Valley wagered in nearly 20 years. The company began buying up oil and gas lease rights and shortly thereafter applied in June to drill for oil within a 240-acre region of Howard Mankins’ ranch. Throughout the history of oil prospecting in Huasna, the one constant result has been failure. As though to underscore it could succeed where others had failed, Excelaron obtained its first lease from a man who failed to profit from his attempt on the very same piece of land. Back then, that man was known as William Perrine, who was a Cal Poly student, stepson of a failed oil prospector, and self-proclaimed entrepreneur who pulled himself up by his bootstraps with dreams of making a big oil score. Originally Perrine had no intention of drilling for oil like his stepfather, John B. Deuel. He went to school to study farm management, but after Deuel died in 1971, leaving his mother “in very desperate financial circumstances,” Perrine agreed to try his hand at his stepfather’s wells. Now, he’s known as Will Divine. If you ask Divine for the real story of his enterprise in Huasna Valley, he’d probably say everyone so far has it all wrong: He’s not a villain or some stereotypical industry giant who tried to shove a rusted pipe into any ground that smelled like oil and profit. During the past 25 years or so, he underwent a transformation, literally and figuratively. After leaving SLO County in the late ‘80s, bankrupted by his attempts to find fortune in Huasna, Divine moved to Los Angeles, joined a monastery, changed his name, and is now a self-proclaimed environmentalist. Divine tells one hell of a sob story. He had to borrow money to buy bullets to shoot his three-legged dog after it was hit by a car. He quit school because of chronic fatigue syndrome, Lyme disease, and other health problems. He took over the Huasna project from a company managed by a guy who worked as a researcher for women’s makeup products and another company that specialized in herpes research. In 2007, almost 20 years after his first attempt to squeeze a profit out of Huasna, Divine came back to SLO County with dreams of drilling again on the same property. His original attempt was funded by his mother and himself. They bought their own equipment and built the company Deuel Petroleum from the ground up. But oil prices plummeted, leaving Divine broke and homeless, living in a metal container at one of the drilling sites. On his return, Divine signed away Deuel Petroleum’s Huasna oil leases to Excelaron through an Australian oil guru, Grant Jagelman. According to the agreement filed with the San Luis Obispo County Clerk-Recorder, the Deuel Petroleum lease involved just one parcel, which was owned by a family trust, care of Howard Mankins. Then, on Feb. 27, 2007, Excelaron purchased the oil lease rights to about 400 acres spanning 14 parcels. In that lease, Divine signed as president of Excelaron. According to Excelaron’s filing with the county, the company has applied to drill for and retrieve up to 840 barrels of oil per day. But most local oil discovered so far is thick and difficult to extract. Even if there is appreciable oil, how Excelaron expects to make money from it is an open question. The company owns 1,500 mineral acres in Huasna (different from surface acres), but even Divine couldn’t say for sure whether there are profits to be made.“It’s just a big tar baby,” he said of Huasna. “And it’s rather marginal economics.” Later, he said Huasna is believed to have “a lot of oil, but how much oil there is I have no idea. When New Times asked Excelaron staff and their Sacramento public-relations firm, KP Public Affairs, to comment about his association with the company, they treated Divine like an embarrassing relative. Though Divine was one of the founders of the company, as indicated multiple times on early filings with the California Secretary of State—and was president, according to the second Excelaron oil lease—he was “relieved of that position in May 2007,” according to Alison MacLeod of KP Public Affairs. She said he remained a company shareholder, a “small equity participant” of Excelaron and its parent company, Australian Oil Company, until February of this year. “As of February 2010, William Divine has no relationship to Excelaron,” MacLeod told New Times. “I was sort of the proverbial whipping boy to everybody,” Divine said. Why? Divine is the remaining linchpin between the old and the new. The aftermath of his failed drilling excursion seems a black eye for Excelaron’s prospects. Crews from the California Department of Conservation Division of Oil, Gas, and Geothermal Resources (DOGGR, pronounced “dog-er”) recently finished cleaning up the long-idled wells, rusting drilling equipment, and unchecked oil seeps left by Deuel Petroleum’s failed operations on the Mankins ranch. The first phase involved plugging the abandoned wells. Then the department discovered an old oil casing below the surface and oil seeps that had to be plugged with cement. Finally, the state contracted to remove the remaining tanks, pipelines, and other deteriorating equipment left by Deuel Petroleum. Mankins declined to allow a New Times reporter or photographer visit the cleanup site. “We’re not allowing any news media at all,” he said. In total, the state spent about $320,000 to clean section 30 of township 12 north, range 33 west, as defined by the grid used for county maps since California first became a state. Those coordinates match the first oil and gas lease Excelaron purchased, which changed hands from Will Divine and Deuel Petroleum to Grant Jagelman and Excelaron. SLUETH : Excelaron, LLC leased the oil rights beneath Dennis Allan’s Huasna Valley property; he worries whether the company will behave responsibly if it drills. Though DOGGR accepted the responsibility and the bill for the cleanup, as far back as Dec. 29, 1987 the division was pointing a finger at Deuel Petroleum. “This is to inform you that Deuel Petroleum Company, Inc. has not properly completed or abandoned the subject well,” DOGGR wrote in a letter to investors. 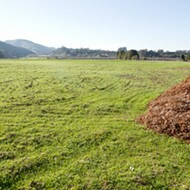 DOGGR assumed responsibility for the cleanup effort in April 2009. That September, Excelaron filed a new document, this time a “quitclaim deed” with Transworld Energy Corporation on the same parcel DOGGR dumped money into to remove the abandoned wells and equipment. “Excelaron accepts all liability for plugging and abandoning the four (4) oil & gas wells located on said land,” the document states. It was actually signed on March 3, but wasn’t recorded with the county for six months. Back in March, Excelaron was reeling from the Divine connection and fighting criticism from the activist group the Huasna Valley Association, which uncovered the ties to the abandoned waste. In fact, Excelaron withdrew its original application to drill four wells, but later submitted new plans to drill four exploratory wells, and an additional eight if the oil field proves profitable. The thing to understand about oil leases—at least, on private land—and oil exploration companies is that the public will likely never know who owns the rights to drill or where. 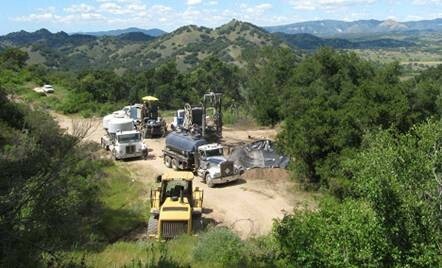 Though Excelaron is the only company to have applied for a drilling permit in SLO County during the past 10 years, according to the Department of Building and Planning, the company is by no means alone in having hopes to pull oil out of the ground. 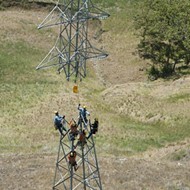 Oil companies in SLO County seem to swap oil and gas leases like kids trading baseball cards. But, in all likelihood, even the property owners sitting above those leases will be unaware until someone is knocking at their door with an application to start drilling. “Lord—what’s wrong with you?” asked the woman behind the counter of the San Luis Obispo County Assessor’s office. She was small and slender, wearing a fuzzy pink cardigan, but had the parental tone of someone who might actually reach over and smack me on the back of the head for making the request. Standing over a book of county maps that were splayed out like an open-heart surgery patient, I must have looked confused—as confused as I might have been had there actually been a gaping chest cavity in front of me and I was holding a scalpel and a Wikipedia how-to printout. My request seemed straightforward. I needed help converting township and range coordinates into a physical address, or at least a parcel number. But while flipping through the pages of book 71, helplessly trying to find the page that showed section 3 (which was only one section of about two dozen sections in one township-range zone I was looking for) I came to realize that trying to find who lived at the address—the one that matched the township and range coordinates, which were listed on one of the lease documents in the County Clerk’s Office, which outlined just one lease agreement—is borderline impossible. On another day, with another set of township and range coordinates, it still took a “map expert” approximately 20 minutes to locate Excelaron’s first two oil and gas leases recorded in the county. Mineral rights don’t stay fixed to the property where the minerals are located. Instead, rights are often held by the heirs of the original property owner who reserved them. In other words, it’s first come, first served. And the first to come, as far as oil is concerned, came in the early 1900s when the rush for oil began. Buying a property in no way guarantees you own the mineral rights. Sure, it will be disclosed whether someone else reserved the rights, but not who, when, or who they may have leased those rights to in the meantime. There are varying degrees of mineral rights that can range from a partial ownership of the profits, to total ownership, and even the surface rights to drill for those minerals. It happened to Dennis Allan, who’s been working in real estate since 1986. Allan owns property in the Huasna Valley. Texas Pacific Oil Company drilled there in 1928 for about three days before bailing, leaving behind equipment he’s still trucking off the property. In January of 2008 Excelaron obtained a grant deed on a portion of Allan’s property and in May the company leased from several people who collectively hold the mineral rights. Read, not Allan. At the time, Allan had no clue. 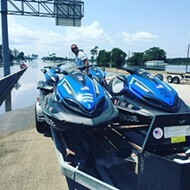 He wasn’t approached by the company and it was no more than a hunch that drove him to pay $600 for a title report that uncovered the transactions. Allan really doesn’t care that someone leased the mineral rights to his property. He’s a private-property, private-industry advocate, and when he first heard of Excelaron’s plans he was in favor of the project. OLD MESS : California Department of Conservation spent $320,000 cleaning up derelict drilling equipment left by Deuel Petroleum in Huasna Valley. He provided New Times a flyer titled “Oil Guaranteed,” by the Obispo Oil Company dated 1902. “Don’t let the fact that there have been fraudulent companies that have squandered investors’ money deter you from asking about the Obispo,” it reads. There’s no master list of companies that own oil lease rights in the county. The county Clerk-Recorder holds the records, but the only search method is to pull up every lease recorded with the county, and more or less guess which lease holders are oil companies. An extensive New Times search of leases recorded in the last 10 years uncovered about a dozen companies, but was still incomplete. It’s even more complicated to track mineral rights on your own property. Kevin Irot has worked in title insurance for the past 30 years. 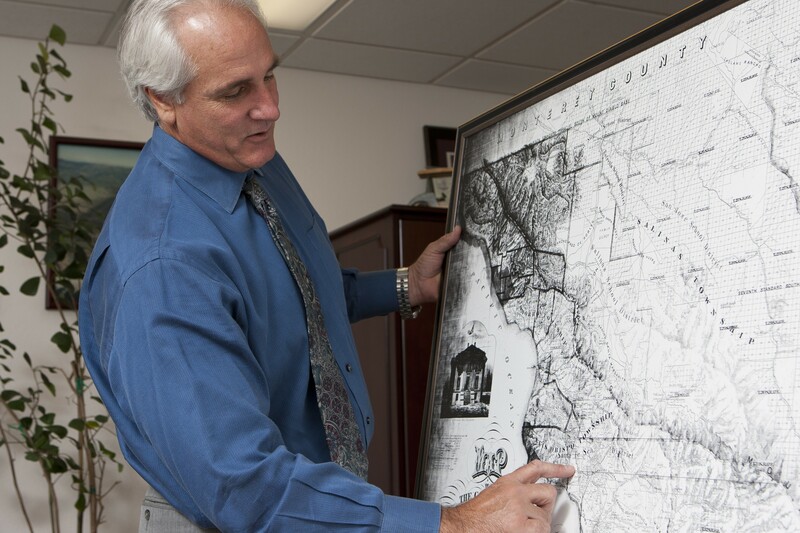 Irot, Vice President and County Manager for First American Title Company, showed New Times how his office researches mineral rights. Title companies, unlike the county clerk, track things like mineral rights and easements by the property, not the people who reserved the rights. At the county, for example, the method for researching a piece of property involves tracing by name each person or persons who acquired rights to the property either by ownership or, more likely, by inheritance. Mineral rights reserved in the early 1900s were often passed down through family trusts, and redistributed through the generations. 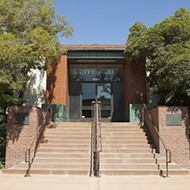 For example, Norris Palmer and his three brothers inherited mineral rights from their father; his mother sold the property in the 1930s but held half the rights, which she inherited from her husband who homesteaded his SLO County ranch in the 1800s. Excelaron leased those rights from the Palmer brothers on Feb. 27, 2007. But Norris, for example, lives in Citrus Heights. His brother Steve lives just east of Sacramento. “So the mineral rights have been in the family for 120-something years,” Steve pointed out. Excelaron probably had to pay a title company to track down Palmer and every other inheritor of each parcel where the company leased oil and gas rights. During an interview, Irot shuffled from his desk to the back of the office, each time returning with a different county map (one he brought out was dated 1874), plugging numbers into his computer, and all the while his printer hummed and churned out thick stacks of historical documents. Though First American’s records are far less complicated than those at the county, Irot said running a complete title report on a large ranch, for example, could take one person three eight-hour days. His office won’t run those searches. Under the price caps set by insurance laws, the company couldn’t make a profit. That’s why when an oil company needs to find who owns mineral rights, they pay for access to title company records rather than going to the county clerk. Companies pay about $150 per hour to access the First American records. Even with a title company’s records, it takes an expert to trace mineral rights. For example, one property description recorded in 1843 read, “The southwest half more or less of one square league known as the Alamo Arroyo or the south end of Rancho Huasna being part of the ranch which was granted …” You get the idea. An individual researching mineral rights at the county, on the other hand, has to trace backward by name each individual who purchased the property or gained some right to it. 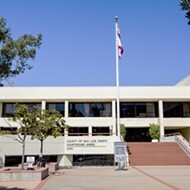 For example, running a search on the name Porter could involve reading the deed, identifying a transaction on the deed marked by a book and page, searching hand-written grantor-grantee books for that record, scanning through the names of that book for the name Porter, then grabbing the document reference number, searching the microfilm for the legal description of the property, and hoping it matches. Next, repeat this process with every name attached to that property. If you’re dealing with a common name like Smith, you’re screwed. “If somebody was to research the mineral rights, it takes forever,” Irot said. Case in point: Formerly a direct subsidiary of Australian Oil Company (AOC), Excelaron distributed its interests among about a half-dozen companies. In February 2009, AOC sold some of its share in Excelaron to Mogul Energy International, reducing its holding 46 percent to 35 percent, according to Reuters. Excelaron was then enveloped under a Canadian capital pool company, Vesta Capital Corp. (now United Hunter Oil & Gas), which acquired 65 percent interest of all investors, including United Hydrocarbon Corporation and Barisan Energy Limited. BLACK GOLD : San Luis Obispo is one of 16 counties in California with oil and gas production, according to California Department of Conservation. Perhaps the biggest loophole in oil drilling is that no one—whether in county or state government—seems to be paying any attention to private lease agreements until a company applies to drill. John McKenzie, a SLO County planner who’s tasked with managing the Excelaron project, said because mineral rights and leases don’t play a substantial role in the environmental or land-use review, “I am not well versed in this subject.” And there are often months-long gaps between when a lease is signed and when it’s recorded by the SLO County Clerk. The federal Bureau of Land Manage-ment, on the other hand, requires oil companies to go through a preliminary environmental review before obtaining a lease. If the property is deemed OK, then the lease is offered for the highest bidder. Such requests for bids are published regularly. But leases on private land require little more than the proper paperwork, a filing fee, and a notary signature. After plowing through hundreds of lease documents recorded with the county, New Times came across one company more than any other, the Nahabedian Exploration Group. A county search turned up 216 records under Nahabedian (Excelaron had 38, if you include the misspelled Exceleron), four of which were recorded between ‘86 and ‘87 by Mark Nahabedian, the agent of service who filed the company’s articles of organization in 1997. In September 2007, The Tribune reported Nahabedian Exploration Group was contacting residents to purchase lease rights along Upper Lopez Canyon Road. However, the company hasn’t filed a drilling permit despite its lease holdings. 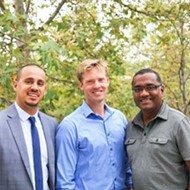 According to the Secretary of State, the Ojai-based company incorporated in 1997, listing three officers: Vahagn, Armen, and Aramis Nahabedian (pronounced “na-ha-bee-dee-en”). The company does not have a website, but an address listed under the original business filings turned up one office phone number. Despite several attempts, New Times was unable to reach anyone at the Nahabedian office line and private numbers for the officers had been disconnected. Like Excelaron, Nahabedian Exploration Group is not a unique entity. Australian-based Pacrim Energy acquired the company in 2005 for an undisclosed amount, according to Reuters. And when almost no one is looking, anything can happen. Excelaron purchased three lease agreements in Huasna on July 21, 2009. But Allan, the Huasna resident, had purchased the property including those mineral rights on July 16. In a series of letters, the company informed Allan it would relinquish its leases, but only if Allan sold them the lease rights. The company eventually conceded it purchased the leases from someone who didn’t own the rights. “Who is this guy that’s so fast and loose that takes these leases from people who don’t own them?” Allan said. “Who is this? And why is it that they weren’t going to release those leases—when we proved to them that they didn’t have a valid lease—only if we signed a new lease?” There are similar shenanigans involving other companies. On Aug. 16, 2007, Nahabedian Exploration Group recorded a lease for about 157 acres from Mark Mankins. However, the recorded lease was stamped care of Martin I. Smith Inc., with a P.O. Box address in Isleton. The same P.O. Box was listed as the return address for Spectra Exploration. Mike Smith is president of Spectra Exploration, formerly Charitable Donation Services, Inc., according to business filings with the Secretary of State. Martin and Mike Smith share an address and, oddly, Mike Smith notarized the lease transfer between Nahabedian and Spectra. Neither Mike nor Martin Smith could be reached for comment and the number listed under the address for Spectra was disconnected. A document recorded on Feb. 7, 2008, states Spectra leased about 11,500 acres from McDonald Properties LP, then partially canceled the lease in March. But in June, the lease rights were transferred from Spectra to Nahabedian. In late 2009, Nahabedian completed a transfer of royalties and leases with Nations Petroleum E & P, which owns 25,000 acres of leases in Fresno and King Counties, according to the company’s website. 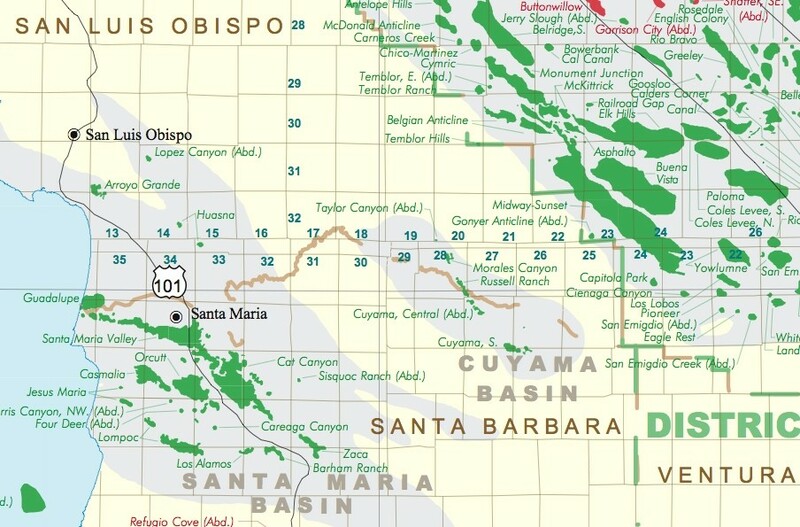 Nations Petroleum formerly held rights to the Paris Valley oil field in San Ardo, but sold those rights to Salinas Energy Limited in November of 2009. Either by accident or design, the system of mineral rights and oil leases seems tilted in favor of people who understand the jargon and, perhaps most importantly, have the resources to do exhaustive research. The average person can’t spend hours, days, and possibly weeks researching the history of mineral rights at the clerk’s office. They’re probably not going to plop down $600 for a title search like Allan did. And in all likelihood, they’re not going to fret when their title insurer tells them a previous owner of their property may have reserved mineral rights 150 years ago. But as mineral rights trace through the generations—sold and leased by whoever happens to inherit a deposit of oil—it becomes increasingly easy to detach the minerals from the property. It’s almost as though the inheritors become desensitized to the rights they hold. After all, they probably don’t live on the property or know the people who own it. Despite hundreds, if not thousands, of recorded oil and gas leases in SLO County, only Excelaron has applied to drill. At least the residents in Huasna have some idea what to expect. As for the rest of the county, who knows?